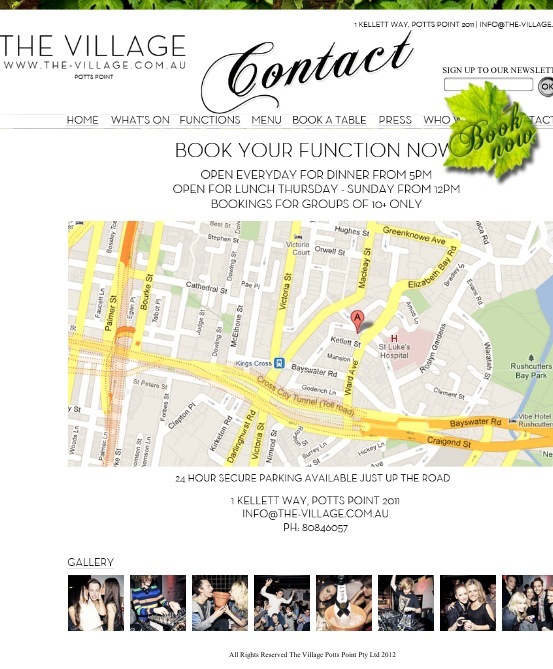 The Village is a bar and restaurant located in Sydney’s Potts Point, and is self described as ‘casual luxury’ dining. 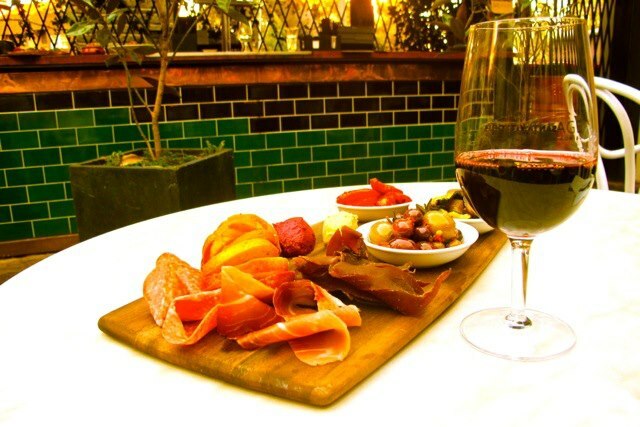 It has three bars, a courtyard and more Sydney hipcats than you could shake a knife and fork at, whilst still having a ‘boutique feel’. I was introduced to The Village by a mate, who knows one of the owners, that kind of thing. I’ve been there a few times now and have become a fan; hence our return for week 1 of 52 Eats. So without further adieu, let’s see how it rated and then we’ll get into a bit more detail about what we thought. As mentioned, I’ve been here before. As I write this I decide I’ll try and limit that as much as possible for this challenge, apart from my favourites of course. I have to share those, right? This is a bar, but does a great selection of food, however, maintains the bar feel by having you order at the specialist food counter. The menu is essentially Italian with some great diversity as well. On this occasion we started with Marinated Italian olives, before I had the 400g Black Angus Ribeye with caramelised shallots and rocket salad. The meat was cooked perfectly and the taste was divine. Ordering something covered in a form of onion is a big deal for me, and potentially risky for this blog, but it pulled through and I was a happy camper upon finishing the meal. Plus with the size of it I was chocker! So for some of you guys out there, this kind of dish is a great option. If you’re after the more muscular alpha body then a steak this size is perfect, I would suggest getting a side of roasted baby chat potatoes or a starchy carb to that effect, to really help smash a decent calorie amount. If, on the other hand, you are wanting to shed fat and get a more shredded alpha appearance, then a meal like this is good, however, you could probably do with one of the smaller steaks such as the eye fillet, around 200-250g. But a simple salad to accompany is perfect. For the everyday alpha, like me, then this meal is perfect. We also added a side of rocket, pear and parmesan salad which was pretty damn tasty and helped fill the stomach sized hole I’d walked in there with. Overall I loved this meal. The setting and ambience are pretty cool, the staff is friendly and they do some awesome deals, making the extra mile score so high. Tuesday’s are for the tight arse with 50% off all meals, which makes the affordability worth going alone. They also have an ‘Organic Cafe’ on the weekends, half price lunches, cheap ladies lunches and the odd drink special too… However, the kicker for me is that this is the kind of place you can go to, enjoy your time in there and have plenty of awesome, healthy and nutritious options to eat. So for those who find themselves facing a night of eating out (ha, gets me every time) then The Village gets a ‘hell yes’ from me. As I’m already a big fan of The Village it seemed like the perfect way to kick off our 2013 endeavour. On this particular night MC was hankering for a steak, which then meant I too was hankering for a steak, which then meant that we better get a darn good steak otherwise I’d be left feeling unsatisfied and grumpy, which does not bode well for MC (I’m sure many of my fellow females understand this phenomenon). The expectations were high, and The Village delivered. From the starters of Olives, to the main meals, each dish was bang on, and met with approving noise making from me. I tell myself that everyone makes humming noises when eating. Olives are a great choice for starters, as they are easily nibbled on and provide high levels of satiety (due to the fat content and savoury taste). My main dish was the Eye Fillet; 220gm of delicious melt in your mouth protein goodness. I must confess that even though I have been ‘meatucated’ for an entire year, I still get confused by my cuts of meat, so Meat Mike Campbell has to help me pick. The Eye Fillet was the winner mainly due to the fact that it was a good size, and it didn’t contain any bones. Now, 220gm is quite a lot of meat for one serve for a female, and particularly for me since I am of Munchkin stature. When trying to get portion size right a great way to ‘guestimate’ it is by using the palm method. A serving size of red meat for a female should roughly be the size of the palm of your hand when open – also taking into consideration that it shouldn’t be too thick. In this case the 220gm steak was the size of MC’s palm and quite thick, but since I was hankering for it, I ate it all! Since I am not on any specific fat loss regime, and my goals are about maintenance, I can have those odd meals where my calorie intake is a lot higher than normal. And that is completely ok. It will all be balanced out with clean eating and hard training on the other days. Besides, food is to be enjoyed, and for us females it is of particular importance to develop a healthy relationship with our food. There is a time and a place for controlled calorie counting, but for the majority of the female population it is about learning to eat high quality, nutrient rich foods. Adequate protein and fat intake is just as important to us ladies, as it is for men. It will help with the fat loss process, and will also help build and maintain our precious muscle – in other words making us womanly yet jiggle free. So get amongst the quality proteins and fats! The other bonus of being at The Village, is that not only can one have an amazing meal, but since it is the ‘cool, hip’ place to go, you can do some SERIOUS people watching. There is some great fashion all round. In fact I saw two girls wearing the same black leather shorts that I wanted to buy in New York last year, damn, I knew I should’ve got them! All in all, a fabulous place to go for date night or for a casual night out with friends. I really enjoyed reading about your meat challange. It could be appreciated on an international level, cause we all can eat it in our own backyards. But now this challenge just makes you more of a local food critic. I’m not from Sydney. I see no appeal to read your blog anymore. Thanks for the feedback on my 52 meats challenge Jay. Obviously we are going to be reviewing specific establishments, which will be pointless for many international readers, although I hope still an entertaining read. However, we’re very aware of this, which is why we will be endeavouring to make each post informative for people from anywhere. Most people dine out at certain times, who hardly have any idea what to eat when at home let alone out. So we will be providing information on how meals like the ones we eat and menus like the ones we had can work for or against anyone. We will be giving advice on food options, serving sizes, menu choices and what kind of dishes work and which don’t. As well as guides to ensuring you can walk into any restaurant and get a meal that is right for you. In that respect Jay I would hope you can get something out of it, even if at the very least it’s just some light entertainment. but it’s never going to be for everyone, which we understand too and that’s fine. Mike I really enjoy reading your blog and as a guy who’s technically obese and working towards getting my health and fitness on track, I’m really interested in reading about what is the best food choices to make when eating out and what to look out for and also ask when ordering. Advice on portion control would be great as well. Thanks for the awesome feedback. I’ve definitely noticed you checking out some of my stuff, so thanks for your continued support. That is exactly the point of this new challenge, so we can help people just like you to make good nutritional decisions when dining out. I will endeavour to keep this up for you my man! 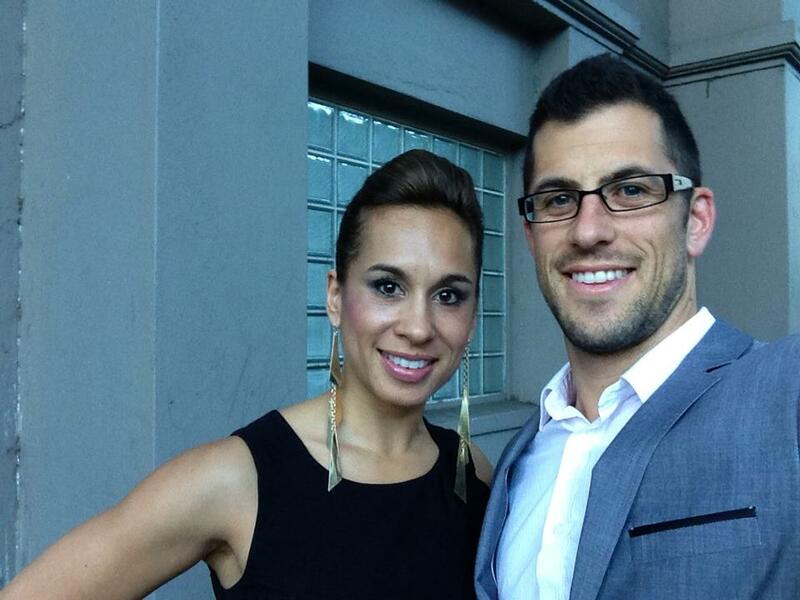 Hi Guys, loved your blog, but most favourite part for me is the photo.Looking Good. We love the photo too! If you’re lucky enough you might get a signed copy.. haha.